Who Is Maintaining the Ecological Balance? 2. God Used His Words to Establish a Covenant with Man (Gen 9:11-13) And I will establish my covenant with you, neither shall all flesh be cut off any more by the waters of a flood; neither shall there any more be a flood to destroy the earth. 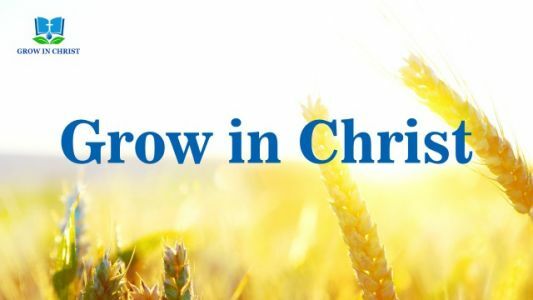 And God..
God’s Utterance “God’s Work, God’s Disposition, and God Himself III” (Part Two) God’s words in this video are from the book “Continuation of The Word Appears in the Flesh”. The content of this video: 1. (Matt 12:1) At that time Jesus went on the sabbath day through the corn; and.. In truth, the work being done now is to have people forsake Satan, forsake their old ancestor. All judgments by the word aim to expose humanity’s corrupt disposition and to enable people to understand the essence of life. These repeated judgments all pierce people’s hearts. Every judgment directly impacts their..
God is the God of reality: All of His work is real, all of the words He speaks are real, and all of the truths He expresses are real. Everything that is not His words is vacuous, non-existent, and unsound. Today, the Holy Spirit is to guide people into the..
To grasp the purpose of God’s work, what effect to be achieved in man, and the will of God toward man, this is what every man who follows God should achieve. Now what all men lack is the knowledge of God’s work. Man neither comprehends nor understands exactly what constitutes..